Husbandry is often associated with farm work, messing around in mud or pulling udders. I prefer to take the origin of the word as what a husband does. Of course, in the modern world there is not supposed to be any difference between the sexes, we are all equal. But, let’s be real, when things go wrong or break down, it’s the man’s job to deal with it. On the other hand, I have no problem if on occasion the lady of the house gives up and takes matters into her own hands. Either gender can enjoy the humorous incidents that happen in real life - floods, appliance failures, infestations, and the other daily little things in life that are sent to try us. So here from my daily blog, IsBlog, (from 2000-2015) (www.jackscohen.wordpress.com) is a collection of those posts that detail the daily amusements that happen unbidden that make life so intense and do-it-yourself (diy) hints to deal with them in the easiest and cheapest way possible. But, I accept no responsibility for anything that happens, slips, grazes or electric shocks. I should mention that this blog started as occasional letters to our friends back in the US and UK after we moved to live in Israel (aliyah, or “going up”). This became more urgent during the second intifada from 1999 until 2002, when Israelis were being killed by Palestinian suicide bombers on a daily basis. Friends were concerned for our safety, and so I continued to describe what life was like here. Eventually I found myself writing about the daily grind in Israel and the usual things that people are doing, repairing appliances, taking care of floods and computers. Then I found that more people responded to these occasionally humorous and personal blogs, than to the serious articles about Middle Eastern politics and conflict. When I came to think about collecting some of these blogs together and publishing them it became obvious that these humorous ones were the most likely to be appreciated. This is not to say that the topics of Middle Eastern and Israeli politics and conflicts are not worth collecting, but there are about ten times more of them, as well as other subjects. So maybe I’ll get to them later. First though here are my attempts at humor to try and keep life bearable. Some of them may seem outrageous, but I hope they are also funny. 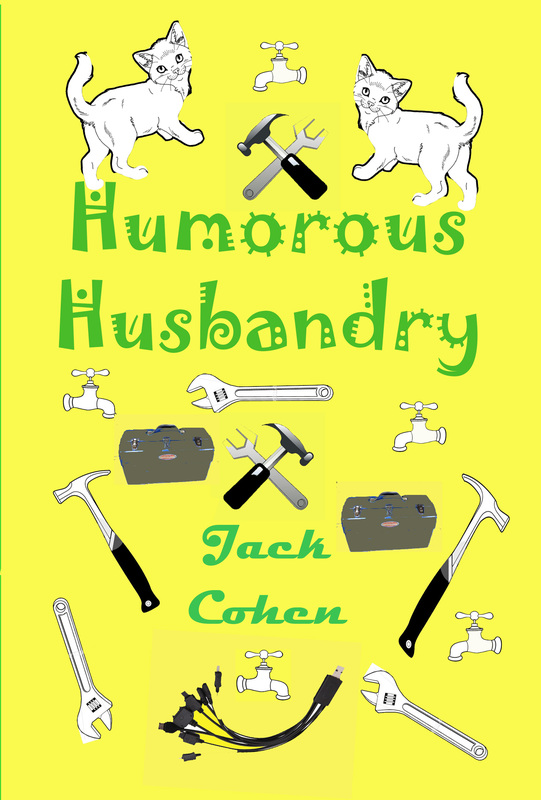 To order copies of "Humorous Husbandry" go to Amazon.com and search for "Humorous Husbandry Jack Cohen"